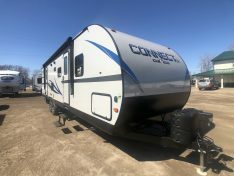 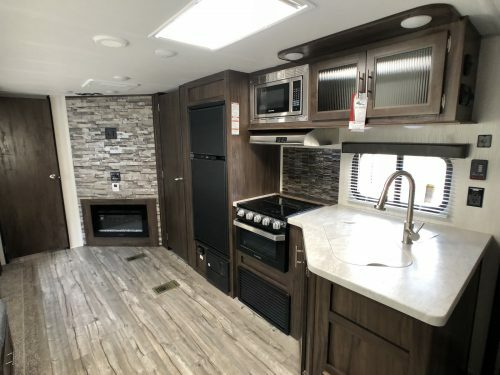 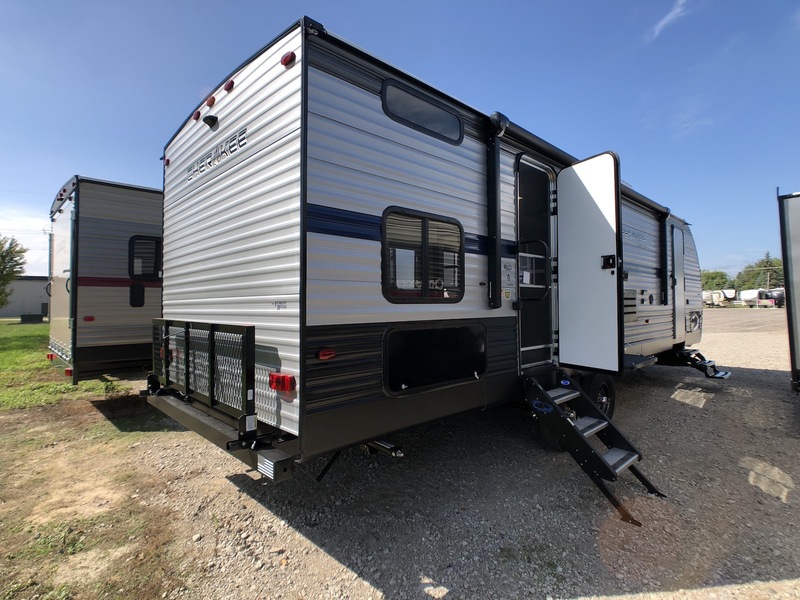 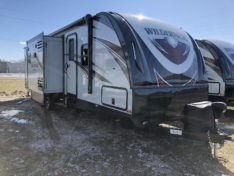 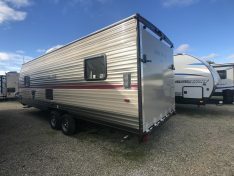 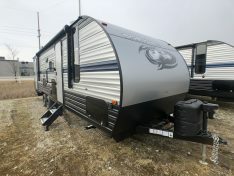 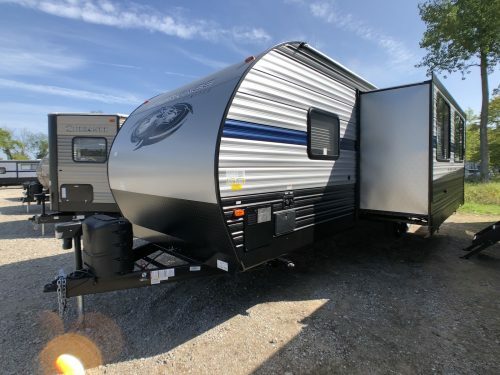 This 2019 Forest River Cherokee 264DBH Bunk House Travel Trailer, sleeps 10 and is half ton towable. 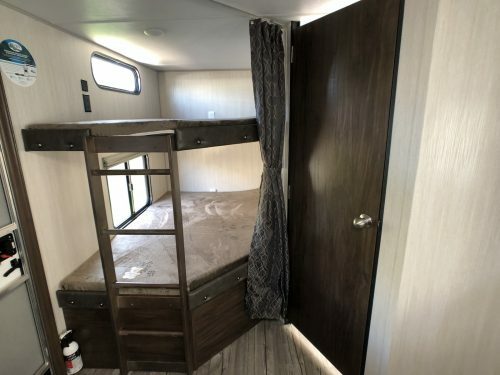 When you step inside, you will see the double over double bunks to your left. 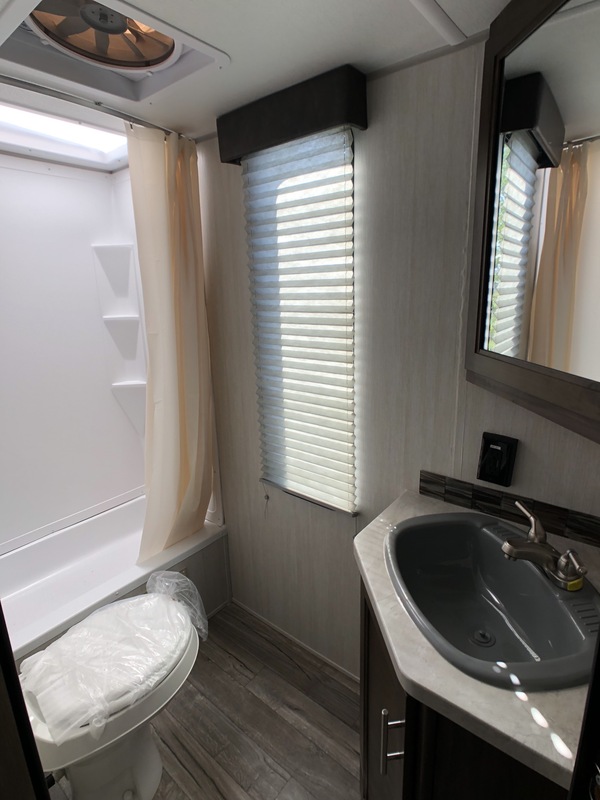 Next to the bunks is a full Bathroom, with a shower/tub, foot flush toilet, and sink. 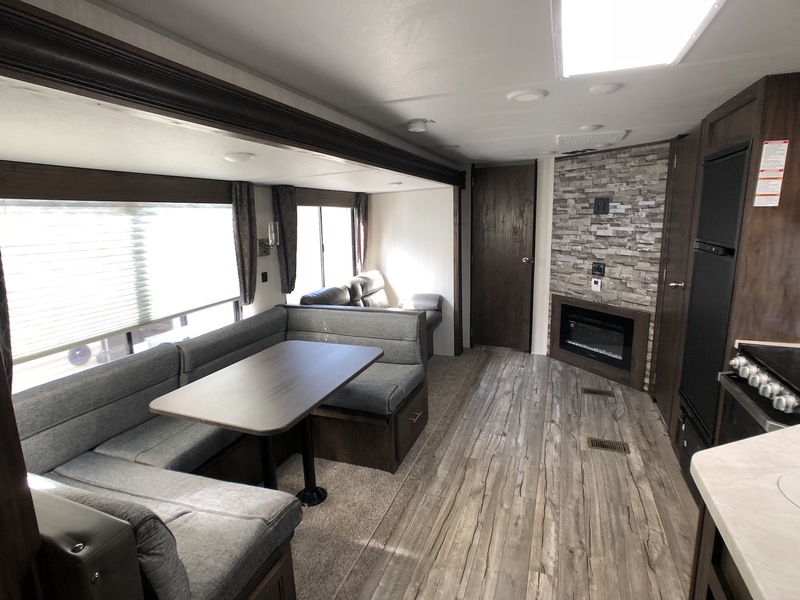 In the main living area, there is one super slide out with a u-shape dinette and sofa. Across from the slide out is the full RV kitchen offering a large pantry, gas/electric refrigerator, three burner cook top, and great counter space. The Master Bedroom offers an RV queen bed, wardrobe on each side along with a large closed and second entry door from the outside. 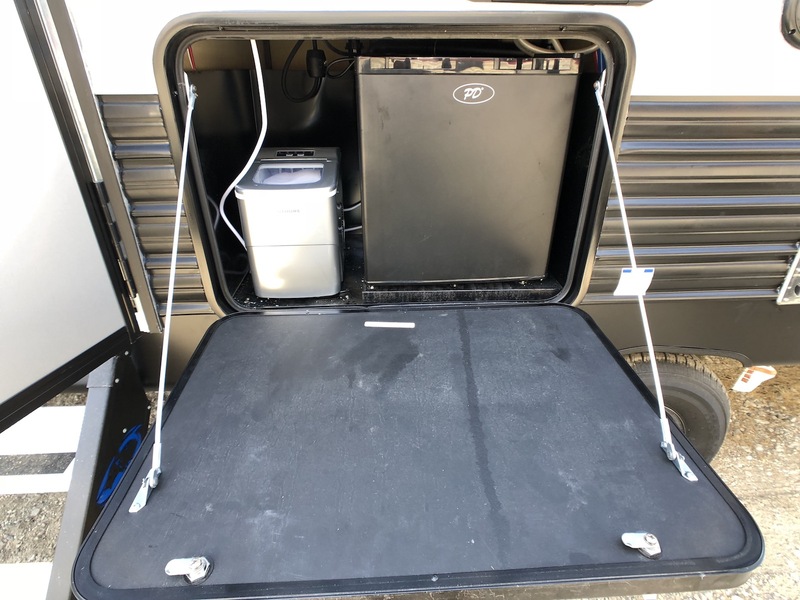 On the Outside of the Cherokee 264DBH, there is an outside kitchen, power awning with LED lights, outside speakers, travel rack, power front jack and more.